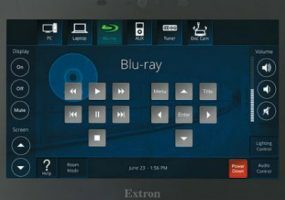 The redesigned Extron TLP Pro 725M Wall Mount Touchpanel features more memory and higher resolution as well as Power over Ethernet (PoE). The Key Digital KD-IP1080TX and KD-IP1080RX, an HDMI over IP transmitter and receiver, both offer support for PoE (Power over Ethernet). 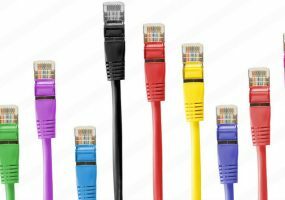 Berk-Tek’s LANmark-IP cabling is specially constructed with 22AWG conductors and all-FEP insulation to effectively manage the heat generated by high-power PoE.